Aims to use real life examples of young children's development and their growing competence to show the richness of their creativity and imagination. This book outlines children's development across a range of creative and imaginative experiences, and discusses the ways of planning and assessing children's progress. 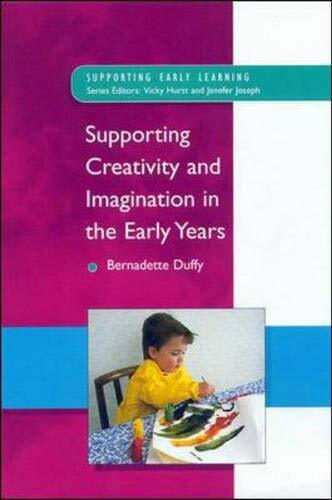 This book draws on the author's experience of promoting young children's creativity and imagination in a variety of settings over the last twenty years. The settings include home and centre based care and this book draws on the practical experience of adults living and working with children in these settings. The aim of the book is to use real life examples of young children's development and their growing competence to show the richness of their creativity and imagination. Children's development across a wide range of creative and imaginative experiences are outlined and ways of planning and assessing children's progress are discussed. Insights from research are used to inform practice. This book is for all who take delight in the richness of young children's learning and want to find ways to extend their practice by supporting and promoting learning in a practical way.